ABC’s drama pilot Hallelujah is getting a lot of pilot-season buzz because of its spiritual theme (it’s about a town where good and evil are at war) and the fact that, if it moves forward, it would be the first series for writer Marc Cherry since he launched Desperate Housewives. 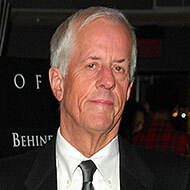 Well, this ought to add to the buzz: Vulture hears that ABC has struck a deal with director Michael Apted to helm Cherry’s new pilot. The news comes barely 48 hours after Jesse L. Martin said “amen” to Hallelujah. Apted, who directed last winter’s Chronicles of Narnia: Voyage of the Dawn Treader, is no stranger to TV. He first became famous for directing the British documentary series 7 Up (as well as episodes of the soap opera Coronation Street). And back in 2005, he helmed the lavish pilot for HBO’s Rome. On the feature side, Apted’s credits range from Coal Miner’s Daughter and Gorillas in the Mist to the 1999 Bond pic The World Is Not Enough.